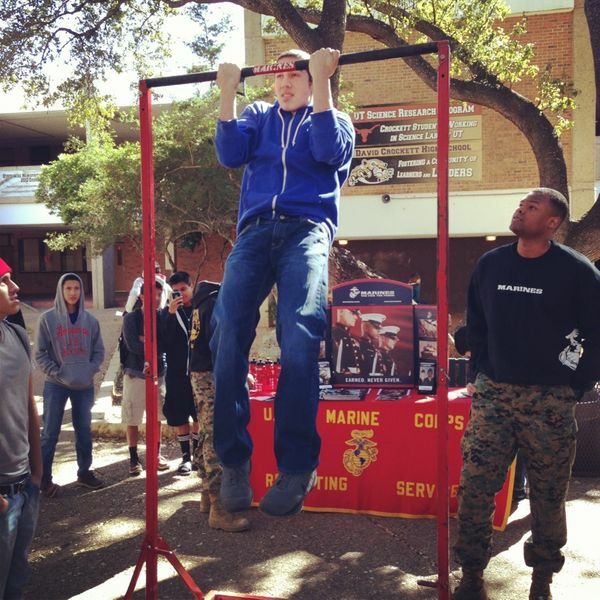 The Marine recruiters came to campus today and setup their pull-up bar for some testing during lunch. 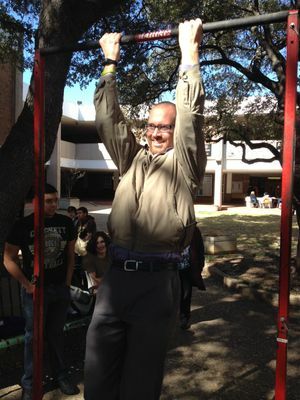 It was fun to watch the kids try to pass the "10 pull-up test". Being a big kid myself, I had to jump in. And in case you were wondering, I passed!